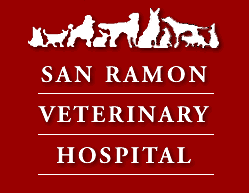 The San Ramon Veterinary Hospital is a full-service vet clinic and animal hospital located in San Ramon, CA. Dr. Goraya is an experienced veterinarian, providing superior care, serving pets from all over the San Ramon and Tri Valley area. A comprehensive and full-service vet, Dr. Goraya extends his excellent, professional, and caring services to all of our clients. We hope you will find the information you need and want to help your pet live a healthier, happier, longer life! All of us here are passionate about the health of the pets we serve. Our veterinarian, Dr. Jaswinder Goraya, and his staff, have been serving pets with their experience, dedication and compassion for 30 years. San Ramon Veterinary Hospital doctors provide many levels of care all at one modern facility. Our high quality care, continuing education programs for our team, and our constant quest to employ the latest techniques and technology to help our patients has earned our veterinary hospital accreditation from the American Animal Hospital Association (AAHA) an international organization of more than 24,000 veterinary care providers who treat companion animals an honor reserved only for the top 15 percent of animal hospitals in the country! San Ramon Veterinary Hospital proudly serves pets in and around the Tri-Valley area of San Ramon, including Danville, Blackhawk, Alamo, Diablo, Pleasanton, Livermore, Dublin, Walnut Creek, Concord, Pleasant Hill, and the surrounding regions! Please, give us a call! Or if you’d prefer, send us an email! WE YOUR PETS! We look forward to meeting you & your furry friend! I've always been more than satisfied with the care all my pets have received at SRVH. Everyone is kind, caring & empathetic to my needs. I know that when I take my babies in they will be greeted like they're best buddies & treated as their own. Thank you! One of the best Animal hospital I have had ever been to. Dr. G and all his staff are so compassionate and caring. Their love for animals and dedication to their well being is up and beyond anything I have seen. Please call us at 925-837-0526 to schedule an appointment! Like you, we love our companion animals and do all we can to help them stay healthy, safe and happy. So our San Ramon veterinarian offers a wide range of services that makes our animal hospital your one-stop location for everything your pets need, from their puppy or kitten days all the way through their senior years. The top focus at our veterinary hospital is helping pets avoid illness or injury up front through advanced preventative medicine. We have special exams and services for puppies and kittens, as well as extra services for our geriatric pets. From regular nose-to-tail examinations, spay and neuter surgeries, pet dental care and vaccinations to nutrition counseling (including prescription pet foods), flea and tick preventatives, heartworm medications, microchipping and DNA testing, we go the extra mile to make sure pets get healthy and stay healthy throughout their lives! In addition to our standard services, we go further with on-site grooming and boarding. Our hydromassage pet baths are relaxing for even the most high-strung pets. And if you need to be away from your pet for a time, enjoy extra peace of mind by boarding your pet with your veterinarian. Sometimes, even with the most comprehensive wellness care, pets still get sick or hurt. In these cases, our veterinarian will be at your pet’s side. We have a technologically advanced pet surgery suite equipped with the latest diagnostics and surgical technology. Our high-resolution digital x-rays and an in-house laboratory that enable us to quickly pinpoint health problems without having to wait for results to come in from an outside source. Our minimally-invasive surgical procedures mean faster recovery times and more precise surgical results with less pain for your pet. We can also help your pet stay comfortable, active and happy in spite of any chronic conditions. Regardless of arthritis or allergies, ear infections or skin conditions, we can help your pet get the most out of life! We hope you will find our website useful and look forward to seeing you and your pet here in the office! Please contact us with any questions, or call us to schedule an appointment. Consultation with Specialists as needed.